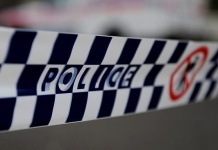 A CYCLIST has injured one person after aggressively riding into a group of people on a public shared path in Mawson on April 13. 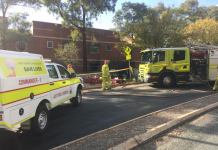 The first crash happened at about 9.30am when a large group of students were taking part in a school cross-country event on a public shared path, near the ACT Healthy Waterways construction area on Athllon Drive. The cyclist, a man, was swearing and yelling at the students before allegedly swerving close to several of them. He then knocked one student to the ground, causing minor injuries, but also coming off the bike in the process. After re-mounting, he proceeded to knock down a further three students, riding over the foot of one of them, causing him injuries too. He’s described as of Caucasian appearance, about 25-30 years old, of thin build with a light/grey beard and a deep voice. At the time the cyclist was wearing shorts, a grey singlet, a grey cap, with his clothing described as tattered or torn. He was riding a maroon-coloured mountain bike. Police ask that anyone who witnessed this incident, or who has video footage, or who may be able to identify the cyclist, to contact Crime Stoppers on 1800333 000 or via the Crime Stoppers ACT website. Please quote reference 6256737. Information can be provided anonymously.